Nokia officially announced that it will re-enter the smartphone market in early 2017 with a range of new smartphones in a blogpost on Thursday. "We've been overwhelmed by the enthusiasm shown around the world for the return of the Nokia brand to smartphones. The HMD Global team has the ambition, talent, and resources to bring a new generation of Nokia branded phones to market, and we wish them every success," said Brad Rodrigues, interim president of Nokia Technologies in the blogpost. 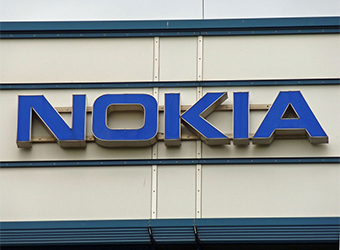 Nokia would not be manufacturing the phones, but has signed a 10-year brand licensing deal with a Finnish startup called HMD that will be producing and marketing the new devices. Nokia launched a new phones section on its site on Thursday, marking the return of Nokia-branded smartphones and tablets. The first Nokia-branded smartphones powered by Android will be available in the first half of 2017, alongside Nokia-branded feature phones. HMD Global, led by Nokia veteran Arto Nummela told various international media that he aims to launch its first Nokia smartphone in the early part of next year using Google's Android operating system. Nokia dropped out of the cellphone making business in 2014 by selling itself to Microsoft to focus on mobile network equipment. Microsoft continued selling Lumia smartphones under its own name, but this year largely abandoned that business too. Nokia has already experimented with Android in the past and the first device after Microsoft's acquisition was the iPad mini clone running on Android. One will have to wait until next year to see if the Android-powered Nokia phone is able to compete with the smartphone giants.